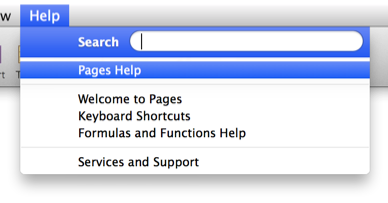 OS X Pages 5.0 graphics in header – Carpe Diem Systems Ltd. The latest version of Pages for OS X and iOS is great for iCloud users who want to edit documents on both desktop and mobile with maximum compatibility. But Pages for OS X has lost many features to attain this compatibility. Yesterday I tried to create a new document with a company logo in the header, so that it would repeat on every page. The process wasn’t intuitive! Then the trick is discovering master objects. You can add text, watermarks, logos, or other images that appear in the same place in the background of every page of your document. These repeated elements are called master objects. Turn on Layout View (⇧⌘L). This makes it a little easier to see where the header and body areas of the document are. Drag and drop the logo to the document body. Resize the logo and drag to the appropriate location in the header. Caution: if the resized logo fits within the header cell boundary it seems difficult or impossible to re-select it. I made mine slightly larger so that the mouse cursor could just click it. With the logo selected use the menu Arrange | Section Masters | Move Object to Section Master to make the logo a master object. If the logo needs to be repositioned use the Arrange | Section Masters | Make Master Objects Selectable to allow this and any other background objects to be selected. This is all possible on the iPad, give or take a few frustrating finger taps and Googling!